Barbara Dickson embarks on a UK tour between 1st February and 10th March 2019. 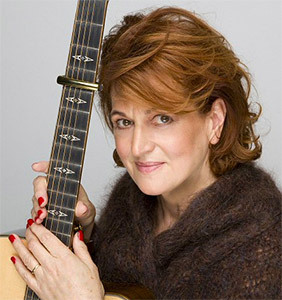 See Barbara’s website for all tour venues, dates and links for booking and see albums by Barbara Dickson on Greentrax. Malinky are currently finishing off a new studio album which will be available in March 2019. It will be packaged along with a second CD of tracks selected from their previous five albums, plus some live tracks. The double CD package will sell for the price of one CD. The band had a very successful gig at Celtic Connections on 25th January. See Malinky albums and news on Greentrax. Dougie Mackenzie, a weel kent face from Inverness, recently recorded an album at Ian McCalman’s Kevock Studio, Lasswade. Ian Green heard the first mixes and was so impressed he immediately invited Dougie to join Greentrax. The album will be released in May 2019.